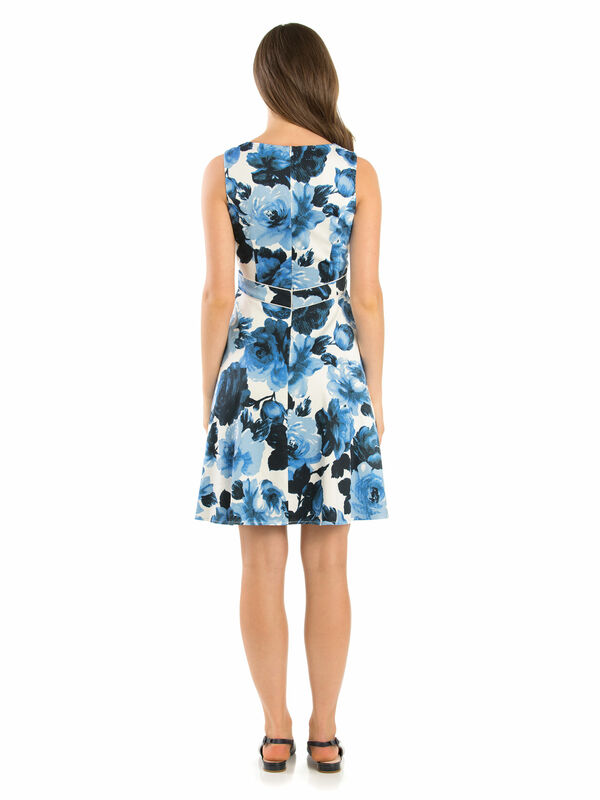 Miley Blue Rose Dress https://www.review-australia.com/asia/miley-blue-rose-dress-blue/RE19DR374.RECRM010.html Decorated with stunning florals, this Miley Blue Rose Dress has a flattering fit and flare cut and contrast white piping at the waist. The sleeveless design is offset by the low v-shaped neckline for a stunning finish. A hidden zip sits on the back and the skirt is fully lined and layered. Pair with white accessories for your next special occasion. 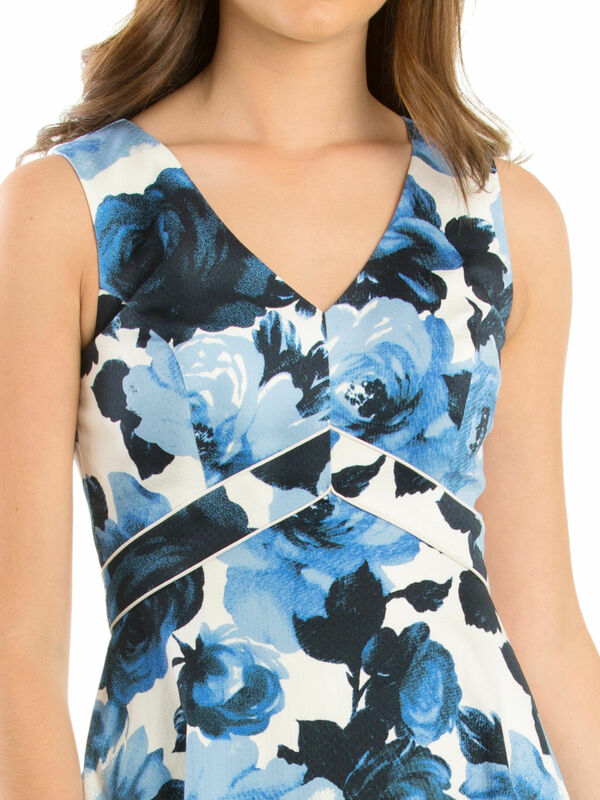 Decorated with stunning florals, this Miley Blue Rose Dress has a flattering fit and flare cut and contrast white piping at the waist. The sleeveless design is offset by the low v-shaped neckline for a stunning finish. A hidden zip sits on the back and the skirt is fully lined and layered. Pair with white accessories for your next special occasion.